As we know, life is a series of transitions! Whether it’s changing jobs and moving to a new city, or moving from an apartment into your first home, a self-storage unit can make the process more manageable. You may have considered whether or not a moving pod would be the right choice for your purposes. You have no doubt seen them sitting in driveways –bright white portable storage units. They too offer customers flexibility and convenience, but it’s always wise to first consider your needs, before making your choice. We asked our self-storage pros in Texas and Arizona to provide some tips on both moving pods and self-storage units. When are moving pods a good choice? Pods are a great way to keep your things in order if you’re making for a quick turnaround. In fact, they’re delivered straight to your door. These are a few instances when renting a moving pod is your best option. Before you rent your moving pod, be sure to check city codes to see if the containers are allowed on your driveway, by your front curb, or in your back alley. 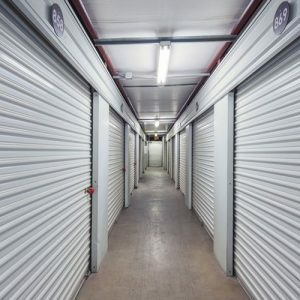 When is a self-storage unit a good choice? Self-storage units allow for more flexibility. 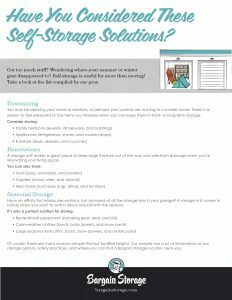 You may not be sure if you need short- or long-term storage. Perhaps your moving deadline changed, you have fragile items you want to keep in pristine condition, or you’re worried about security. These are just a few reasons why a brick-and-mortar self-storage may be a better option for you. It’s hard to imagine anyone wants a large structure taking up their driveway for an extended period of time. Especially families with several cars, or those who live where parking is a challenge. Additionally, if you in the city, you may not have a driveway at all! Plus, there are always uncertainties with moving – what if things take longer than expected? Self-storage facilities offer the flexibility often needed during life transitions; with month-to-month leasing options and a variety of unit sizes. In an enclosed facility, stored items can be less vulnerable to theft, vandalism, and inclement weather than in a freestanding container. You may feel more comfortable using a self-storage facility with fenced-in buildings, gates requiring keypad entry, onsite managers, and security cameras. Check out our resources page where you will find many articles to help you with any storage questions you may have and give you tips on moving, downsizing, and much more. Visit our website for more information our locations, amenities, and vehicle storage solutions. We provide a variety of affordable self-storage options! Get the details about our self-storage facilities in Texas and Arizona.